If a tree falls on your garage will it make a sound? and it will put a hole in your roof too. 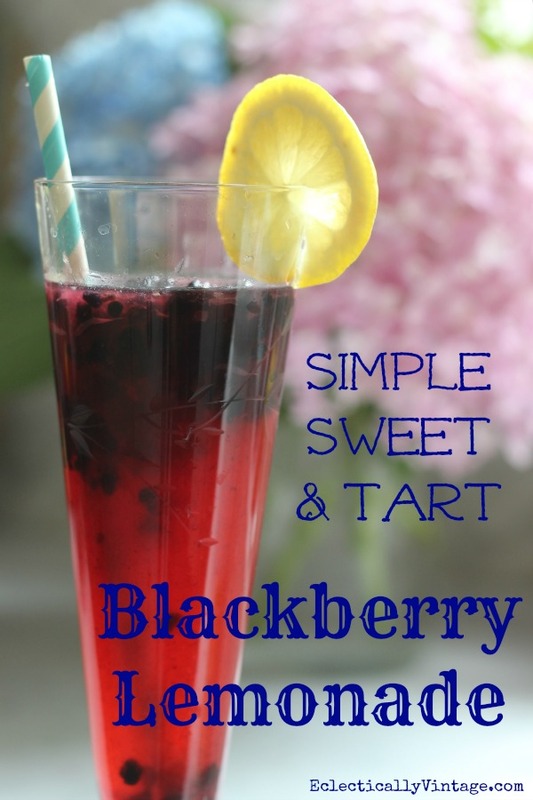 I pulled a June Cleaver and delivered him a glass of my new favorite simple blackberry lemonade recipes to quench his thirst. 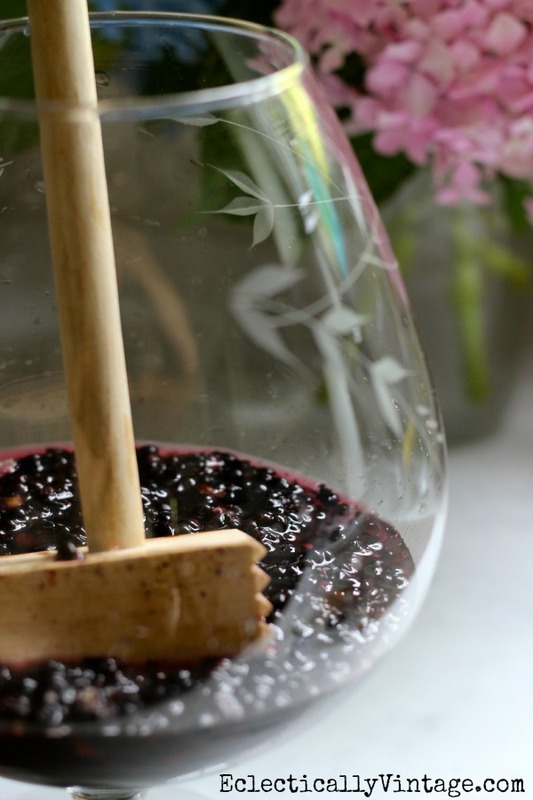 Muddle simple syrup and blackberries (combine and squish the blackberries with a wooden spoon or a meat mallet like I did)! Simple Syrup - combine equal parts sugar and water and boil until sugar is dissolved. Refrigerate until cold before you use in recipe. Mix up a batch and watch the smiles erupt! P.S. My hubby’s aunt was throwing away these fabulous vintage etched glasses – I rescued them from a cruel fate. P.P.S. Check out more of my simple recipes here. P.P.P.S. Check out all of my vintage finds that I rescued from a cruel fate! Sorry about your garage thud and Andy sweltering in the sun surely with his shirt off… well, sorry about the garage thud anyway…. We purposely cut a big tree down, it was dead, and the cable broke but thankfully it missed hitting anything by mere inches. So sorry about your garage roof. I’m sure your June Cleaver move made your husband’s job just a little bit less annoying. That blackberry lemonade looks delicious! Kelly, thank goodness no one was hurt when the tree fell – that is SO scary! This lemonade, though, looks so refreshing and delicious! I just brought home a bunch of lemons, so I’ll need to get some blackberries and try this! 🙂 Thanks for sharing your recipe with us and have a wonderful weekend! Thanks for posting your recipe! Great timing too, I just had my first blackberry of the season yesterday!! We have a huge burm of blackberries and I’m always on the hunt for good blackberry recipes – thanks again! this looks yum! We love picking blackberries, I’ll have to give this a try!